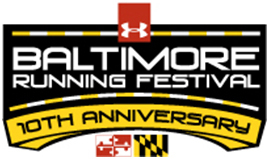 This will be our 10th year participating in the Baltimore Running Festival. Join us on October 15th and participate in any event. There is a race for everyone: Full Marathon, Half Marathon, 4-person Team Relay, 5k and Kids Fun Run.